Critics have finally seen Captain America: Civil War and with the social media embargo lifted, we’ve gotten a storm of tweets about the upcoming Marvel blockbuster. The response has been overwhelmingly positive and most reviewers have brought up three details as the highlight: the movie is fun as hell, the airport fight scene is the best action sequence of any comic book movie, and Tom Holland’s new Spider-Man is truly spectacular. Fans are especially pleased with that last detail. There was a lot of excitement over the Wall Crawler’s return to Marvel and we’ve been anxious to hear any sort of news about the new iteration of the character. Forget that the movie also has Captain America, Iron Man, Winter Soldier, Black Panther, Ant-Man, Black Widow and about a million other heroes in it. Like J. Jonah Jameson, all we want is footage of Spider-Man! There you have it! This is probably more estimation than an approximate amount of time, but this is still more than I was expecting. In a movie with as much going on as Civil War does, 30 minutes sounds like a good amount of screen time for a character they had to write at the last minute (there was a rumor they wrote two scripts where one had Spider-Man and the other didn’t, but that sounds a little too convenient for the situation). I also like the distinction Mike Sampson makes between Peter Parker and Spider-Man. It’s a small detail, but it’s cool to know that both sides of the character will be represented. Tom Holland’s Spider-Man has been said to be the best version of the character we’ve seen on the big screen and that he steals every scene he’s in. This is a major relief for anyone who was worried about the representation of Marvel’s flagship character. The previous Spider-Man actors, Tobey Maguire and Andrew Garfield, both offered good aspects of the character, but each performance was sort of a mixed bag; one is too corny, the other too brooding. 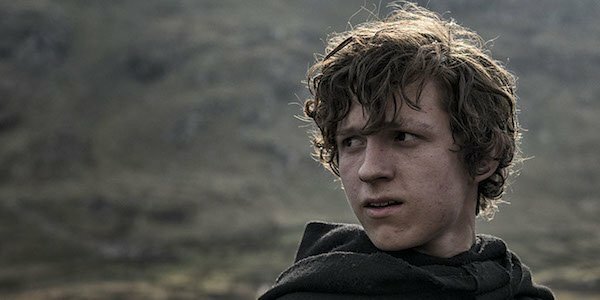 Tom Holland’s portrayal is based on the earlier high school days of Peter Parker, which isn’t something we’ve seen a lot of, so hopefully, his Spidey feels fresh and is not more of the same. It also helps that he isn’t a 30-year-old playing a teenager. You can finally see Spider-Man with all the other Avengers in Captain America: Civil War, which opens less than a month from now on May 6, 2016. Does this new Spider-Man news make you happy or do you want him to have more screen time? Sound off your opinions in the comments section.